Your trip of exploring Singapore won’t be complete when you don’t use all your five senses. You’ve seen, heard, touched, and smelled Singapore; now, it’s time you taste it! Like its culture and history, Singapore offers you a hot pot of varieties. When I tell you varieties, I really mean it. Since this country has become home to different racial communities, it is not odd to find different cuisines from different parts of the country. There’s always a new picture of what Singapore is to you! The best foods in the country are not even the priciest ones so there’s no excuse to not indulge in it. Every taste your palate identifies brings you back to the time when this country has just started. It introduces you to tradition and leads you to the stories of how it embraced technology and innovation all at the same time – it simply makes you know what Singapore really is. 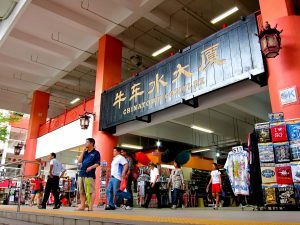 Chinatown Complex Food Centre: Located in Smith Street, this hawker centre is the largest among its kind catering to 260 stalls offering multi-ethnic cuisines. Not only do you get a variety but you also get a run for your money. Maxwell Food Centre: Tian Tian Chicken Rice is one of its mostly-visited tenants because of its Hainanese chicken rice. Another stall, Zhen Zhen, is well known for its rice porridge. East Coast Lagoon Food Village: Just near the sea, this venue offers you a relaxing ambiance and great food. Must-try foods are barbecue-pork noodles, vermicelli in satay sauce, and curry puffs. Makansutra Gluttons Bay: The name itself gives you the idea of eating your heart out till your tummy couldn’t take it anymore. This hawker centre houses 10 of the best stalls in all of Singapore. 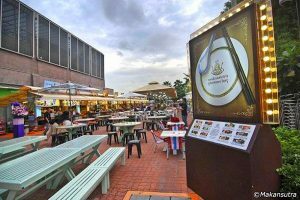 Tekka Centre: This hawker centre offers you Indian, Malay, and Chinese foods. This place is mostly visited for breakfasts – good food in the morning will give you a good kick start for another day of adventure! Old Airport Road Food Centre: As the one of the largest and the oldest, it surely will give you a taste of food that has been passed generation to generation. It also houses the country’s best soya beancurd stalls. Tiong Bahru Market Hawker Centre: This newly renovated food court is ready to cater to new stalls and more people. It is known for its chwee kueh stalls who offer the best water rice cakes in Singapore. 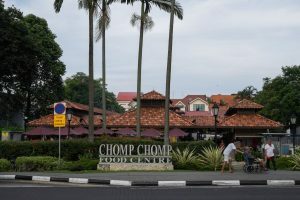 Chomp Chomp Food Centre: Known as the satay capital of Singapore, the Chomp Chomp Food Centre caters to the hungry till later hours daily.